The New York Times, in early December 2018, ran a 5000-word article outlining how Russian propaganda, supported by independent media, has destroyed America’s understanding of what is real and true. This time I wasn’t cited personally as last year when Newsweek, the Washington Post, Politico and The Hill named me as a Russian agent. Endless hours with Federal investigators began to recreate a sense of reality. They genuinely began to understand that they are the ones who have been the victims, fed a narrative of lies for years. It was heartening. In particular, the times went after the downing of MH17, the Skripal poisoning, or whatever it was, various gas attacks, the alleged election rigging, blaming Russia for making it hard for them to get their version out and believed. For my part, I rely on my experience not just as a journalist or diplomat but in over three decades in the intelligence community. Let’s take MH17. I was personally involved in negotiations with the Malaysian government to set up a task force to independently investigate. The Dutch investigators were, according to Malaysia, predetermined to blame Russia. A team was assembled, including me and former FBI, a top DC law firm and others at VT but Malaysia was threatened by the US that if they began this effort, the United States would economically retaliate. I have all the documents and correspondence, it’s not like this kind of thing doesn’t happen every day. We always ask, who benefits? The answer was easy, the extremists who had taken power in Ukraine and rogue members of military organizations with facilities in Azerbaijan and elsewhere. 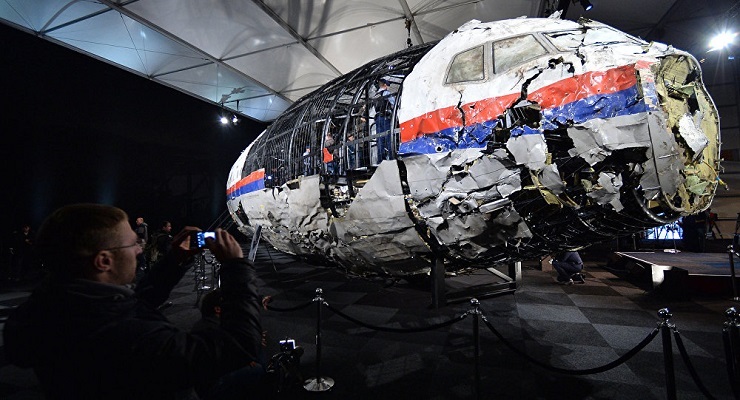 Intelligence had long since sited a conspiracy behind the downing of MH17 and the Malaysian government was the primary victim but had been extorted, threatened, cowed into backing down from seeking justice. Let’s now look at al-Qaeda. It isn’t just an assertion that there is no such thing as al Qaeda. Osama bin Laden’s American handler is a close friend. I know the top Pakistani intelligence and military officials from the time and went over this with them as well including ISI Director General Hamid Gul, an editor at Veterans Today for nearly a decade. It was always the same, the CIA formed al Qaeda and there never was a worldwide terror group that broke away and began targeting the United States. Take, for instance, al Qaeda in Yemen. There were meetings, years ago, on how to justify more American involvement in the region. The decision was made to name some tribes in Yemen “al Qaeda,” tribes randomly picked. Then the GWOT (Global War on Terror) could pour funds into Yemen and aid Saudi interference in their affairs, something going on to this day. As a side note, it was 18 months ago that Veterans Today asserted that the US was arming and fueling Saudi planes bombing civilians in Yemen. Only a few days ago, it was announced, finally, that the US had been doing it illegally with American funding “off the books.” Imagine, who deserves money less than Saudi Arabia, particularly in their efforts to murder civilians using their American weapons? How do you fight logic like that particularly when it is presented with absolutely no evidence whatsoever? This is the New York Times, but it is also the Trump administration. Do note that the Obama administration had never attacked the Damascus government. We could move on to the Skripal “event.” It is easy to see why it would be in the American news. Imagine the most potent poison imaginable, VX gas, something the US and Israel had produced for years and still store away, according to our sources, in Romania, Georgia and Southern Libya. However, when a former Russian “spy” named Skripal and his daughter became ill, and I suggest food poisoning or something similar, it had to be Russia and it had to be “Novachuk,” the Russian chemical agent made famous in Call of Duty video games. Problem is, the Skripals survived and, in fact, there is no evidence they were ever ill in the first place. There are no records of medical care, nothing presented anywhere, no chemical analysis and the other “fact,” as it were, that VX kills in less than 3 seconds 100% of the time. Both Skripals are alive and well. Then there is the curious fact that dragging on this story took the Saudi/Trump involvement in the strangling and dismemberment of a Washington Post correspondent named Khashoggi out of the media. Even the CIA says Saudi Arabia did it and their intercepts say it was on the direct order of the Saudi crown prince, commonly known as MBS. Then again, it is the Trump regime paying for fueling Saudi planes bombing Yemen and the Trump family with a recent $800 million contract in Saudi Arabia for projects that don’t seem to involve anything more than money going to Jared Kushner for doing nothing. Nothing is to be built or managed, only a contract for Saudi Arabia to pay the Trumps almost a billion dollars for unnamed services. Is Trump being paid to gas up Saudi planes terrorizing Yemen? What we have are accusations and assertions by a press organization, one of many that seem to act “on demand” to maintain a fake narrative. The press never asks “why.” They don’t care. They report what they are told to report, make up sources, never complain about lack of proof and now cry like babies when nobody believes them. For those who actually sit in the meetings, who looked at the documents, the radar tracking and interviewed witnesses on MH17 and other events, the press suffers a shameful lack of interest in reality. For instance, only a few days ago it turned out that one district in North Carolina had actually counted votes prior to an election, not just early ballots but came up with totals prior to voting. That story was removed from the mainstream media only hours after it was reported. It was Trump’s party that was involved but news organizations supposedly opposed to Trump covered it up, as they always do. Is the whole thing, the war on the press, all fake or mostly fake? It is certainly fake the only question is how fake? Then again, there is this unpleasant reality. Those who govern, those who report, those who make war, those who profit, those who bleed the world dry on behalf of the mischief makers are people seldom burdened with issues of morality or values. Belief and opinion are so very subject to manipulation and control and with that the debasement of humanity and the cycle of entropy, war, poverty, starvation and fear. In the end, one question lives above all others, who profits? It will never be asked.